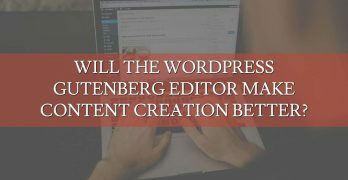 Will the WordPress Gutenberg Editor Make Content Creation Better? As always, WordPress is still on the run to provide better services to millions of its users. With the goal to make adding content enjoyable and straightforward, WordPress created Gutenberg Editor. Though still in the beta and testing phase, Gutenberg Editor indeed is to watch out for in the next coming months. What is Gutenberg … Continue reading Will the WordPress Gutenberg Editor Make Content Creation Better?